Ready to relax and unwind? Pull up a seat to your own personal bar and enjoy an evening cozied up to the fireplace. 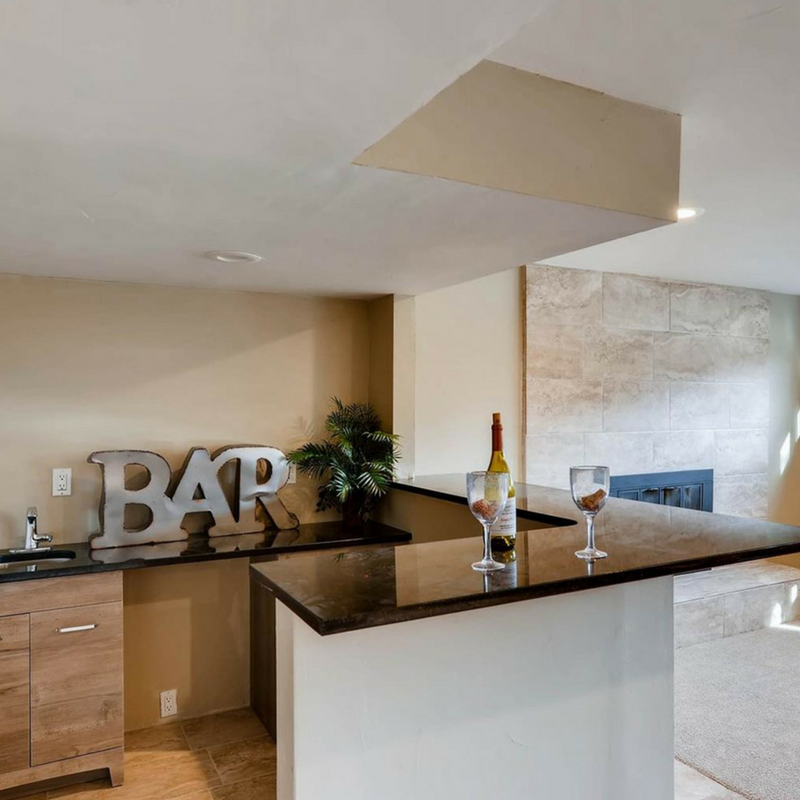 The home has custom upgrades throughout, making it feel luxurious for anyone who stops by. This tri-level home in the Hampden neighborhood is a perfect home for the whole family. Close to major highways, commuting is a breeze. The oversized lot is perfect for the green thumb or an outdoor playground for the kiddos.